We put ourselves back on the touring circuit. We were better prepared yesterday at the brewery tour than we were today at the Adelaide Oval. The other locals and again a Kiwi seemed familiar with the rules, history and present competition, while I don’t think we could have defined a wicket. I broadened my vocabulary and ability to imitate the accent on the tour. 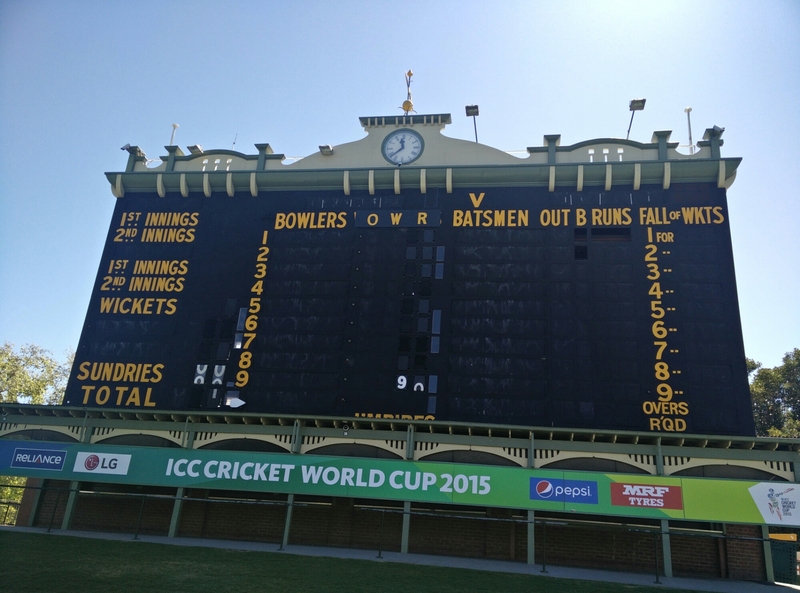 But indeed the Oval had a scoreboard as impressive as the Green Monster which requires multiple workers to run up and down stairs to update the scores during a match. After carefully studying the half off tickets for the Fringe festival, we decided we wouldn’t understand the Scottish accent well enough for the comedy, and T eliminated a drama about a couple at odds. So we were in for another experimental circus act! But first, a stop at a wine bar and some advice from locals about which nearby vineyards to hit tomorrow. We even did laundry. We may need to extend our visas. And win a lottery- it’s a bit pricy down under….